Personalized white 42” arc spectrum auto - open folding umbrellas are very popular gifting choice for marketers on special promotional occasions. 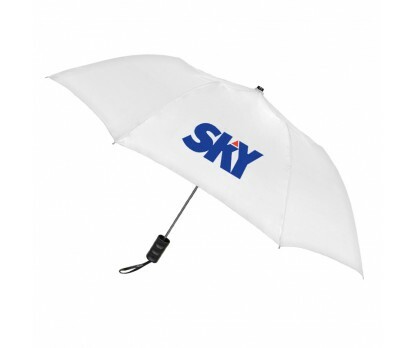 This umbrella is favored by marketers and individuals with varied business interests and personal preferences. This umbrella is one of our best moving choices in this category because it offers hordes of benefits to marketers. This umbrella is largely affordable for everyone. 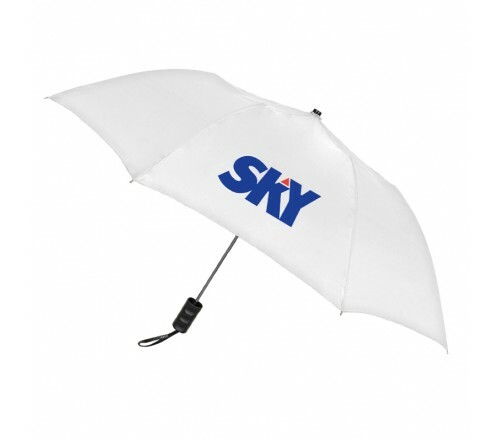 Features - 42” arc white canopy, round sturdy metal shaft, matte black finish handle, and white fabric case for each color. Pushbutton automatic function. Imprint area – 6 x6.